Increasing productivity, improving quality, and reducing costs are major drivers in nuclear medicine today. To address these needs, Extreme providing solid-state solutions that radically rethink traditional designs to offer unparalleled clinical versatility. We offer a wide range of Solid-State Cameras that offer unmatched imaging combined with flexibility. 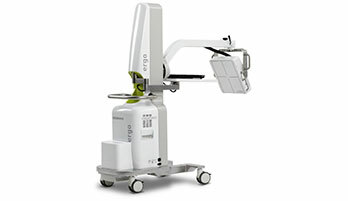 For detailed information please click here or visit www.digirad.com. 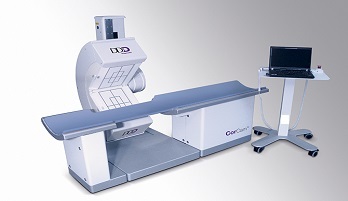 Extreme offers a product which is a fixed 90-degree two matched detectors for increased throughput superior image quality. Two 3/8″ crystals with 14.6″ x 8.5″ field of view (FOV) detectors and 24 high-resolution low-profile photomultiplier tubes per detector secure high detector performance and excellent resolution. Features Auto Gain, Energy, Linearity and Uniformity corrections as well as preprogrammed gantry motions with digital LED displays provide time effective and user friendly detector device. Compact integrated design is suitable for minimal room size requirements and full complement of nuclear cardiology clinical software. For detailed information please click here or visit ddd-diagnostic.dk.